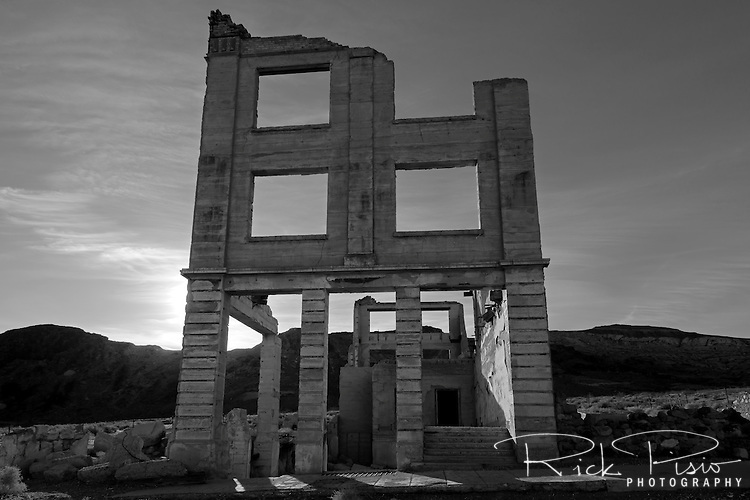 The remains of the Cook Bank Building still dominate the Rhyolite skyline just as it did when it was built in the early 1900's at a cost of $90,000. The building had marble floors imported from Italy, mahogany woodwork, electrict lights, telephone, and inside plumbing. By 1910 parts off the building were being sold off and by 1919 the building was no longer in use.